Not working for me…, I even followed the suggestion of another website to edit the MSI with ORCA. I’ve followed religiously all your steps. Hmm, x64? leaving enough time after doing the silent install? Hope that it will work anyway. This looks pretty clear-cut. I have done this a few years back on Windows Vista. I think it is kind of similar for Windows 7 because I do remember starting off by downloading and installing RSAT. Now when I start as admin, I can see the exchange tab. Another way to work around is to create a shortcut and point the target to %SystemRoot%\system32\dsa.msc /32. Greetings, I’m trying to do this on my Windows 7 Enterprise box with RSAT installed. I copied the files you supplied and registered them. I did the ESMVISTA install and sat and waited until msiexec disappeared in Task Manager. I opened ADUC and still no tabs when looking at a user. Any insight? Your instructions worked AWESOMELY!!! Thank you pyrocam!!! couldn’t believe it. Thank you so much!!! It did not work for me either. Well I’ll be. That worked for me as well. Windows 7 pro 64bit. 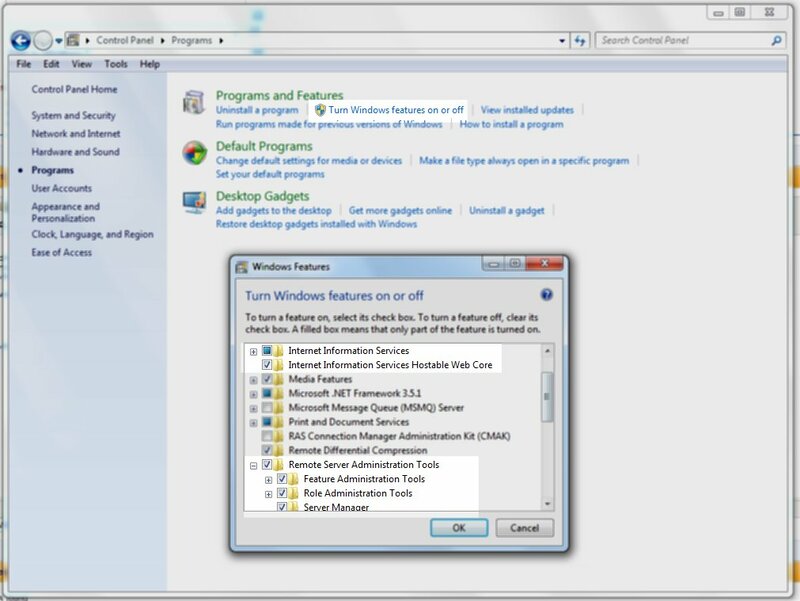 If you’re looking for a simple solution for managing Exchange Servers (2010/2013) from within the Active Directory Users and Computers (ADUC) console, look for a tool named “Exchange Tasks 2013”. It’s easy to install on both 32 and 64 bit Windows O/S. You will need to install RSAT but the Exchange Admin Tools and DLLs are not required. Worked like a charm for me as well… thanks a million pyrocam!!! I just want to say that your 64-bit fix looks like it will be very useful in our scenario. Exchange 2003 to Office 365 cutover migration with dirsync. Rather than uninstalling Exchange 2003, this will let us shut it down and manage the exchange attributes from something that isn’t an antique. Once you have the tools installed, you can create a shortcut to dsa.msc /32 and have an icon on your desktop to manage AD with the Exchange tabs. Just like the old days! Have anyone tried on Windows 10 Enterprise x64bits? please HELP! Still trying for Windows 10. ESMVista not for WIN10. anyone have any other options? worth a shot to ask here. need exchange tabs but wont show.